At some point in our lives most of us will be required to make a health care decision. Before any medical treatment can be given, a physician or other health care professional must receive our consent. What happens, however, if our health declines to the degree that we are unable to provide this consent? This is a critical question many of us have probably never considered. Whether it is a decision about who will authorize medical treatment or becoming an organ donor, end-of-life decisions such as these are difficult to make. Some funeral homes have now incorporated these and other topics into their advance funeral-planning program. One such topic concerns the preparation of an advance health care directive. In the case of an emergency, a physician or hospital does not legally need a patient’s consent to provide urgent treatment required to save or maintain someone’s health. In a non-emergent situation consent must be obtained from someone on the patient’s behalf. It may appoint a “substitute decision maker,” who must be at least 19 years of age to decide on the appropriate health care for you. It may give instructions to the appointed “substitute decision maker” regarding your health care treatment or establish general principals regarding the type of health care you want. A written statement of your health care wishes or instructions. Written instructions may be as simple or detailed as you choose. For example, you may wish to simply say: “If you cannot live independently and there is no hope of recovery, I do not want to be kept alive with machines or medical treatment.” If more detailed instructions are preferred such as stating specific treatments and illnesses, you should consult with your physician or other health care professionals to ensure that you know what the treatment and illness are all about and are accurately described. Your signature. If you are unable to sign, the health care directive may be signed by someone else in your presence and under your direction. However, the person signing cannot be your appointed substitute decision maker or his or her spouse. At least two witnesses. Your signature or mark must be made in the presence of two independent witnesses, neither of whom can be your substitute decision maker or his or her spouse. A Substitute Decision Maker. A name, address, phone number and relationship to you of the substitute decision maker, along with his or her signature accepting the appointment are required. Any number of substitute decision makers can be appointed. Do-it-yourself model forms are available at the Queen’s Printer. Some funeral homes may also have copies available. Although you do not need a lawyer to prepare or complete an advanced health care directive or living will, a lawyer will ensure the person wishing to prepare a living will is legally and mentally capable of doing so; the correct language as required by Provincial law is used; the person chosen as a substitute decision maker is eligible under provincial law, and that the living will is properly signed and witnessed. A lawyer can also help sort out any disagreements that may arise between the family and the substitute decision maker. In addition to the above noted information, which must be included in an advance health care directive, you may also include instructions with respect to the disposition of your body after death. In the event of a conflict between an instruction given with respect to the disposition of your body and consent given under the Human Tissue Act such as consent to be an organ donor, the consent under the Human Tissue Act will prevail. In Newfoundland and Labrador you must be 16 years or older to make an advanced health care directive. If you are under 16 years of age, special rules will apply. You must also be considered mentally competent. To be judged mentally competent in this province, you must be able to understand the information that is relevant to making a health care decision and to appreciate the reasonable foreseeable consequences of that decision. If you should have any doubt as to a family member’s ability to make an advanced health care directive, you should speak to a physician and or/lawyer. As mentioned earlier, in a medical emergency a physician does not need your consent to give treatment. If the situation is not an emergency, consent must be obtained either from you or someone on your behalf. 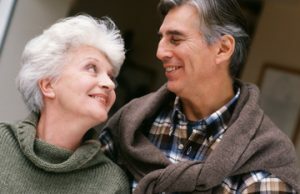 If you are not capable of giving consent and did not appoint a substitute decision maker, one will be appointed for you by selecting someone from the following list in the order in which the person or category of persons appear beginning with your spouse; children; parents; siblings; grandchildren; grandparents; uncles and aunts; nephew and nieces; other relatives and, finally, the health care professional who is responsible for the proposed health care. If the person or category of persons on the list is unavailable, unable or unwilling to make the health care decision, the substitute decision maker becomes the next available person or category of persons listed. Who should make a Living Will? If you have been diagnosed with a disabling, serious or terminal illness, have no immediate family or close relatives to rely on, or have very strong opinions on the type of medical treatment you would or would not accept, preparing on advance health care directive or living will would be a very prudent act. However, since anyone could experience an accident or sudden illness and need some form of life support, an advance health care directive would benefit everyone. Once completed, copies of your living will should be given to your family physician or other health care professionals you may be seeing, the substitute decision maker(s), lawyer and family members, where applicable. For more information on advance health care directives or living will, refer to Newfoundland’s Advance Health Care Directive Act proclaimed on July 1, 1995, a copy of which can be obtained from the Queen’s Printer. The book “Facing a Death in the Family” by Margaret Kerr and Joann Kurtz, publisher John Wiley and Sons Canada Limited, is an excellent resource. Also recommended by the same authors as a good source of information about different treatment options is the University of Toronto Joint Centre for Bioethics. The centre provides information on the internet at http://jcb.utoronto.ca This site also includes a Living Will form that will take you through a number of health care situations and the available treatments.